Now that I have lost most of you who care nothing for my rambles, I'll talk a little about the speed bumps that I hit during the challenge. I was rushed to the ER once, dealt with a HUGE issue at my daughter's school, and had two deaths in my family during April. I have migraine issues, and I had one get completely out of control. It took a few days to get that in check, and right as it was getting under control - my grandfather died. That was hard and more than reason enough to abandon the challenge, but I wasn't giving up. I scheduled mini-posts in addition to my regular ones and traveled out of state to go pay my respects. I won't say much about the problem at my daughter's school, but I hope that none of you ever have to deal with anything like it. The administration was TERRIBLE, and I'm so proud of myself for not getting arrested. Hooray, Kayla! Finally, right as the month was ending, one of my younger cousins passed away. It was completely shocking and unexpected. He was a young man who should have had a full life ahead of him. It was devastating, and I had to travel out of state again to be with my family. I still finished the challenge. So, despite everything, I posted every day. Some were posted barely before midnight and others were ridiculously short - but they were DONE! 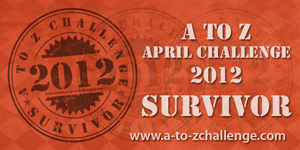 The people at Blogging from A to Z made a survivor's badge, and I will post it with pride. 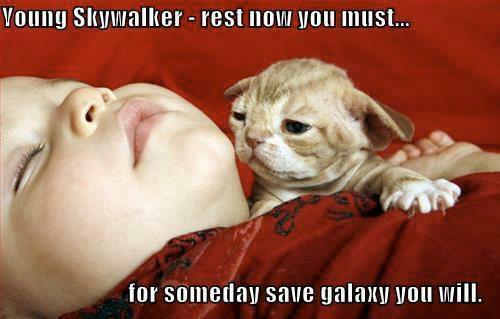 THAT CAT IS TERRIFYING-LOOKING. AHHHH! And look at it's claws. They are fully out. Eeks! Sounds like you had one heck of an April! I'm impressed that you were able to even finish. I admire your persistence.